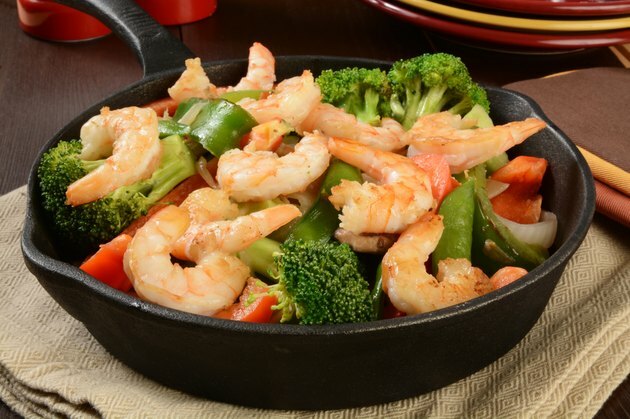 Shrimp and broccoli is a delicious entree served at many Chinese restaurants. Each Chinese restaurant may use a different recipe for its menu offerings, so the nutrition information in the dish may vary, along with the spiciness. If you would like to know the nutrition information for the shrimp and broccoli entree at your local Chinese restaurant, ask the server for a copy. 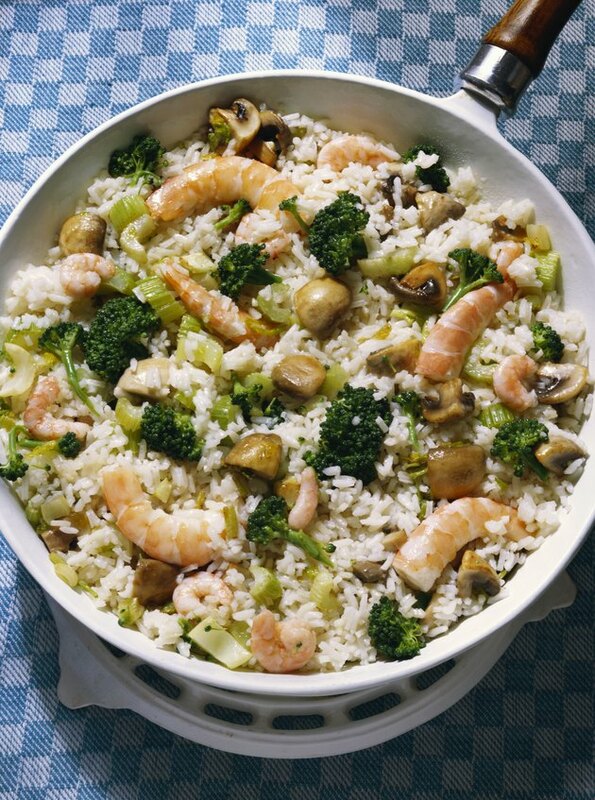 One Chinese restaurant's recipe for shrimp and broccoli provides 159 calories per pint of food. This entree contains almost 7 grams of fat, which contributes about 63 calories. The shrimp and broccoli dish contains about 10 grams of carbs and about 10 grams of protein per pint, which contribute about 40 calories each.